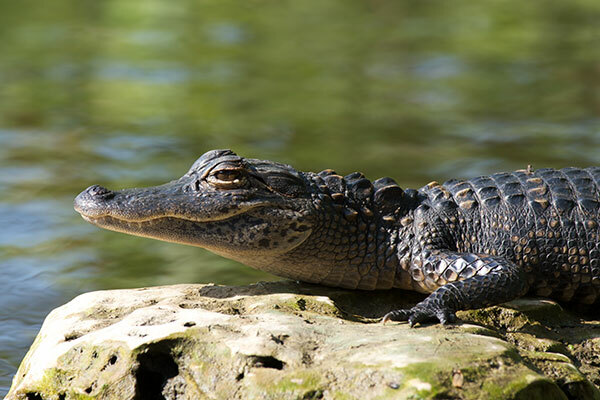 Alligators have made a huge comeback since the early 1970's, when they were one of the first animals to be protected by the Endangered Species Act. 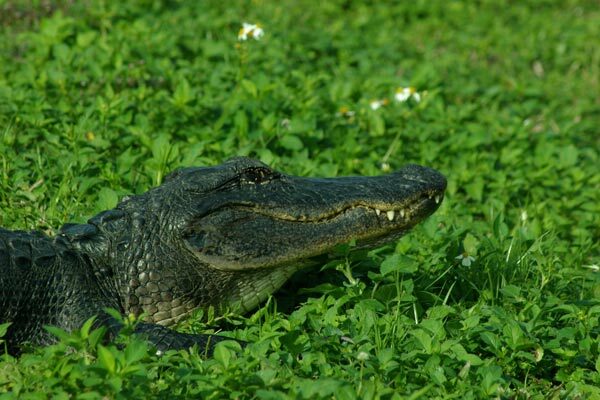 They're nowhere near as numerous or widespread as they were before people starting killing them for all the usual reasons, but they're plentiful in certain places, including Everglades National Park. We arrived at Anhinga Trail right at sunrise, and admired the spectacle of early-morning activity from the numerous herons, egrets, ibises, anhingas, and other birds. 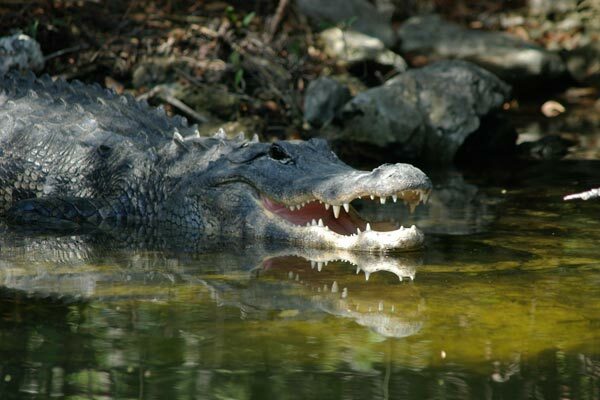 Meanwhile, plenty of alligators drifted to and fro in the dark water, often revealing only their eyes and snouts. 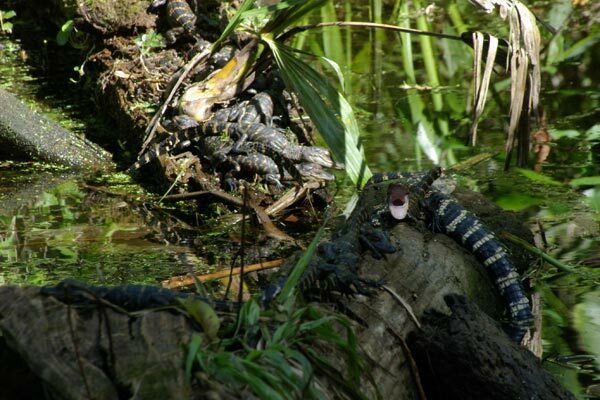 I saw my first Louisiana gators in this wildlife refuge alongside a nice well-kept trail. My wife was walking our three little dogs while I went on ahead on large predator alert. All family members, human and canine, remain unconsumed. 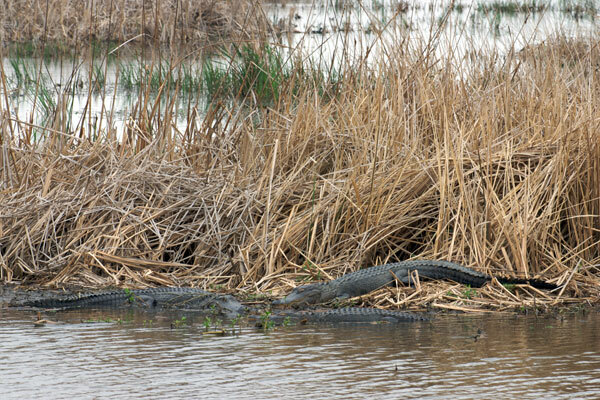 Anhinga trail is an excellent locale for gator spotting. On this warm winter's morning we must have seen a couple of dozen in forty-five minutes or so. 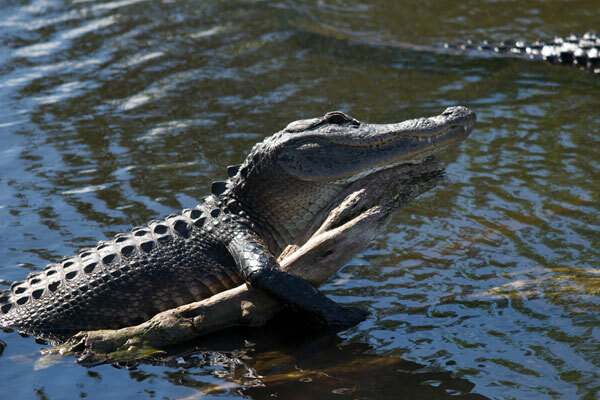 Hmm, maybe a log full of baby alligators is cuter than one? 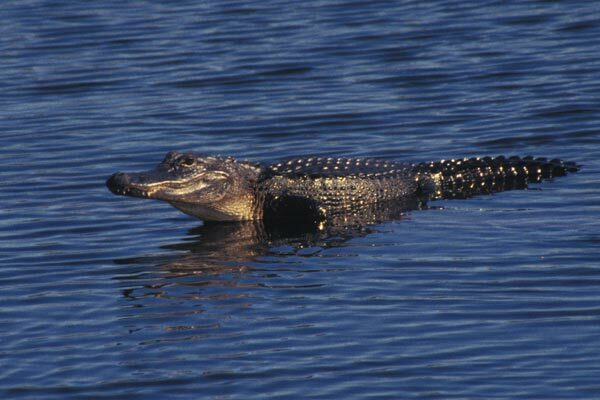 There's nothing cuter than a tiny baby alligator floating alongside your inflatable kayak, nothing! On this stormy morning, it seems that most of the alligators at Anhinga Trail decided to gather together in one small area. I'll bet James Bond could have escaped by running across their backs. 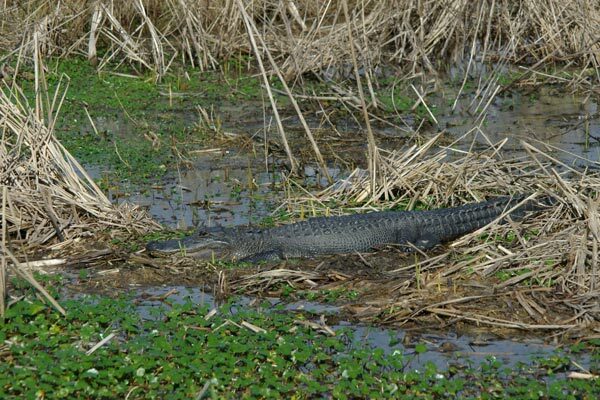 Most of the roads in this part of the Everglades ecosystem have parallel "borrow canals" beside them, ditches where material was excavated to build the road up on top of the swamp. 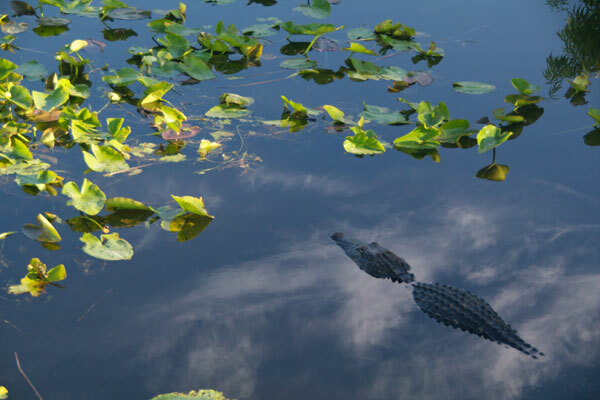 These canals are hugely popular with the local fish, bird, snake, and perhaps especially alligator population. 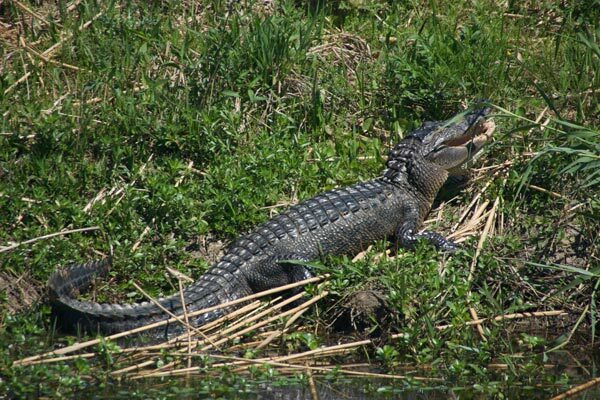 Here's a happy alligator enjoying his roadside dining room. 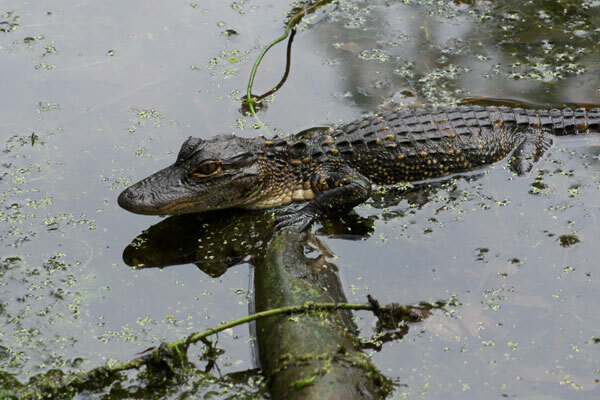 Anhinga trail is close to the main entrance gate of Everglades National Park, so if you're in the area and need an alligator fix, you can just slip in, spot a dozen or two, and slip out. 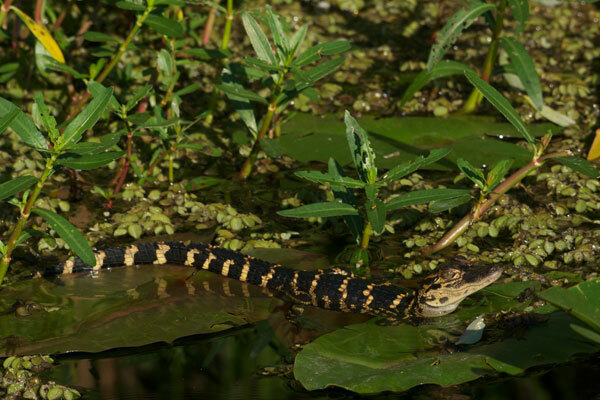 Here's a cute li'l baby gator, willing to venture only a few dozen yards from its protective mama. 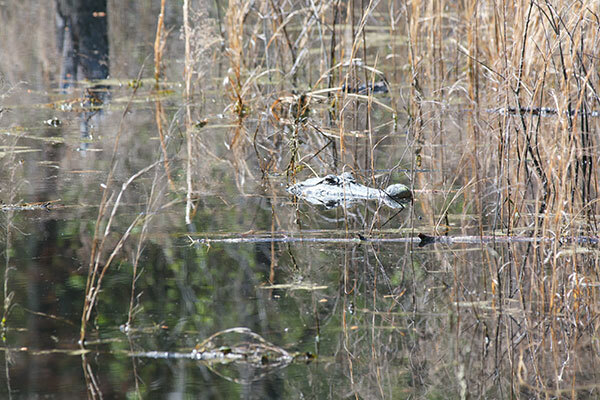 On a cool day in South Carolina, the only noticeable herps were a few lazy gators. 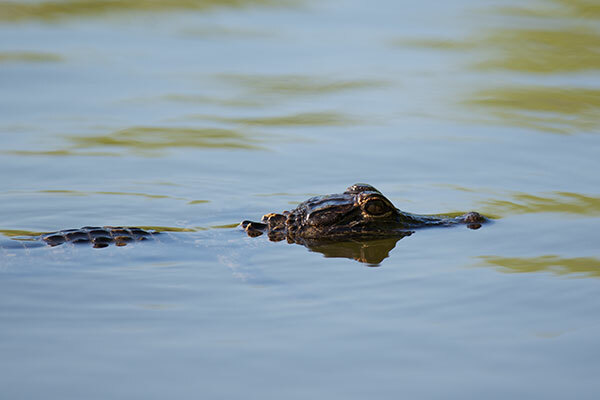 We saw dozens of alligators lounging at the sides of ponds and canals as we drove through this wildlife refuge and other southern Louisiana wetlands. They were remarkably skittish though, splashing noisily into the water if I got anywhere near them with my camera. This one must have thought it was fully protected by the grass blade blocking its eye. Back to my guaranteed gator spot, and the gators did not disappoint. They really never do. 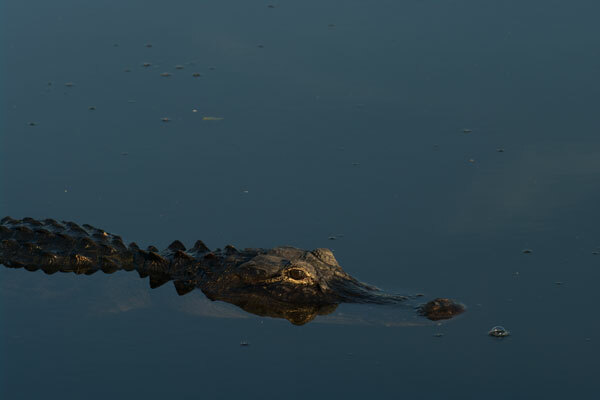 You can't go to Anhinga Trail and not see gators; it is simply not allowed. 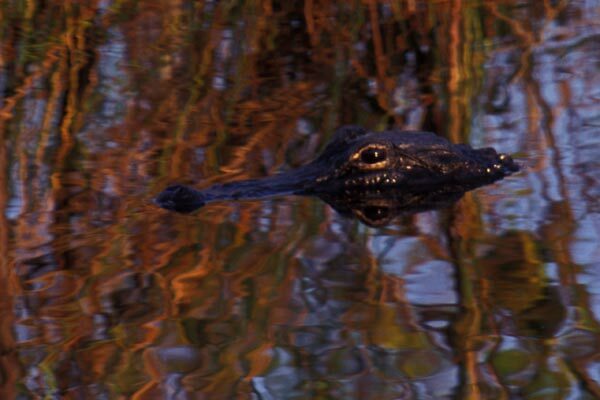 Early springtime is baby alligator season. I saw dozens of these little stripey fellows in and along the canal that parallels the tram/bicycle trail at Shark Valley. 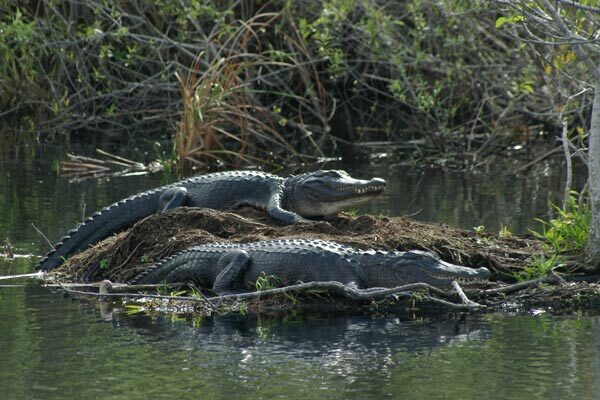 Some would let out little high pitched squeaks of agitation to get the attention of their nearby massive mama gators. 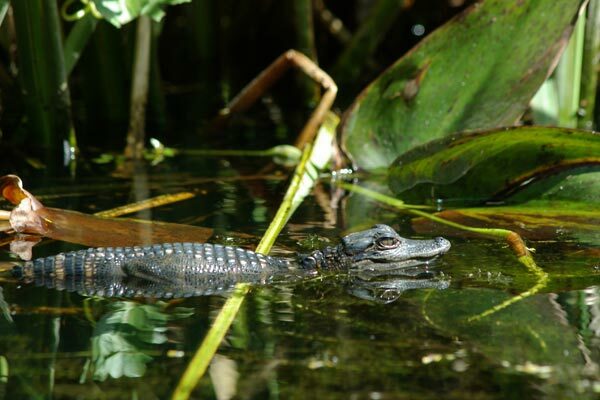 Chekika Day Use Area is one of the lesser-known corners of Everglades National Park. It's fairly small and far away by road from the other developed areas. 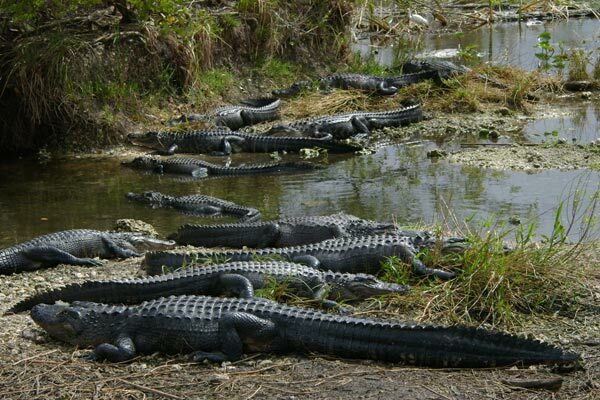 But like the rest of ENP, it is chock full o' alligators. 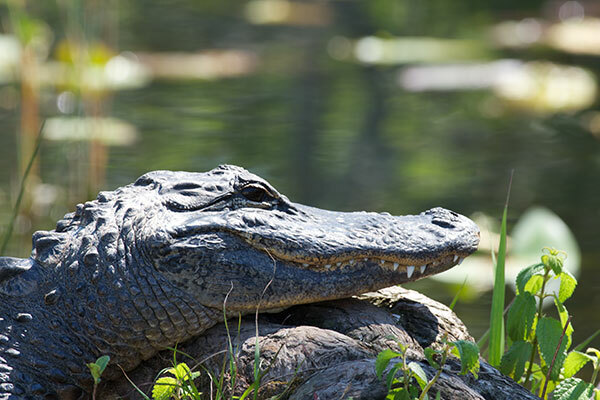 This alligator looks so content on a warm spring morning. 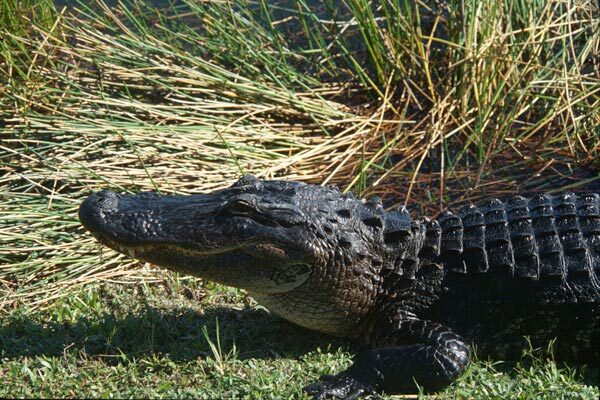 This is why dogs have to be on leash in Santee State Park.